PAW Patrol - Nickelodeon Releasing Two Titles on September 11, 2018! Nickelodeon Releasing Two “Paw Patrol” Titles On DVD This September! I know a lot about content targeted at kids. I guess it has to do with the children in my family being around me quite a lot and the fact I like certain kid’s shows. Anyway, if you by any chance enjoy PAW Patrol, or know younglings who do, you should know Nickelodeon will be releasing two titles on DVD on September 11, 2018! 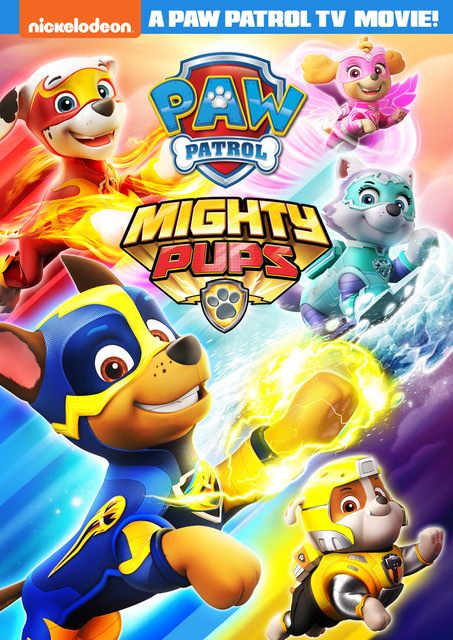 Distributed by Paramount Home Media Distribution, the two upcoming releases from Nickelodeon Home Entertainment are PAW Patrol: Mighty Pups and PAW Patrol: Halloween Heroes. PAW Patrol: Mighty Pups DVD (with English 5.1 audio presentation) will be a Walmart exclusive. It is the first TV mini-movie from the highly popular franchise. The DVD release (including a digital Vudu copy) contains a 44-minute special focusing on the puppy-heroes getting mighty powers and saving their town. The mini-movie’s never-before-seen adventure will be available on DVD before the TV debut. In this high-flying, heroic mission, the PAW Patrol are given Mighty Pup powers after a mysterious meteor lands in Adventure Bay. When Mayor Humdinger and his nephew trap Ryder and steal the meteor to take over the city, the pups must work together and use their new powers–from Chase’s super speed to Marshall’s mighty heat, Rubble’s super strength and more–to race to the rescue and save the day. PAW Patrol: Mighty Pups is produced by Nickelodeon Home Entertainment and distributed by Paramount Home Media Distribution and will be available on DVD on September 11 exclusively at Walmart for the suggested retail price of $17.99. PAW Patrol: Halloween Heroes will also be released on the same date for $10.99 SRP. The DVD contains “seven exciting adventures to get all fans in the spooky-spirit,” including a double-length special! 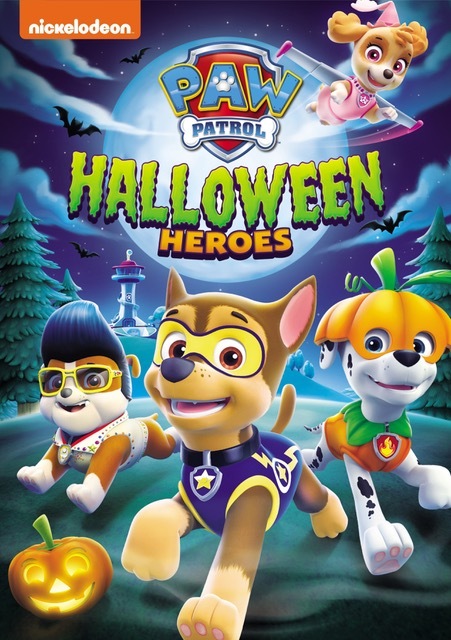 PAW Patrol: Halloween Heroes has a running time of 88 minutes and features English 5.1 and Spanish Stereo (Audio presentation). What do you think of PAW Patrol? Let us know.